part preventative medical check up, part immersive game, the ‘fiztania’ installation by specular projects examines ways of making healthcare a more individualized, approachable and enjoyable part of everyday life. the experience starts with a vibrating orb that acknowledges a successful log in when it is lifted from the pedestal. 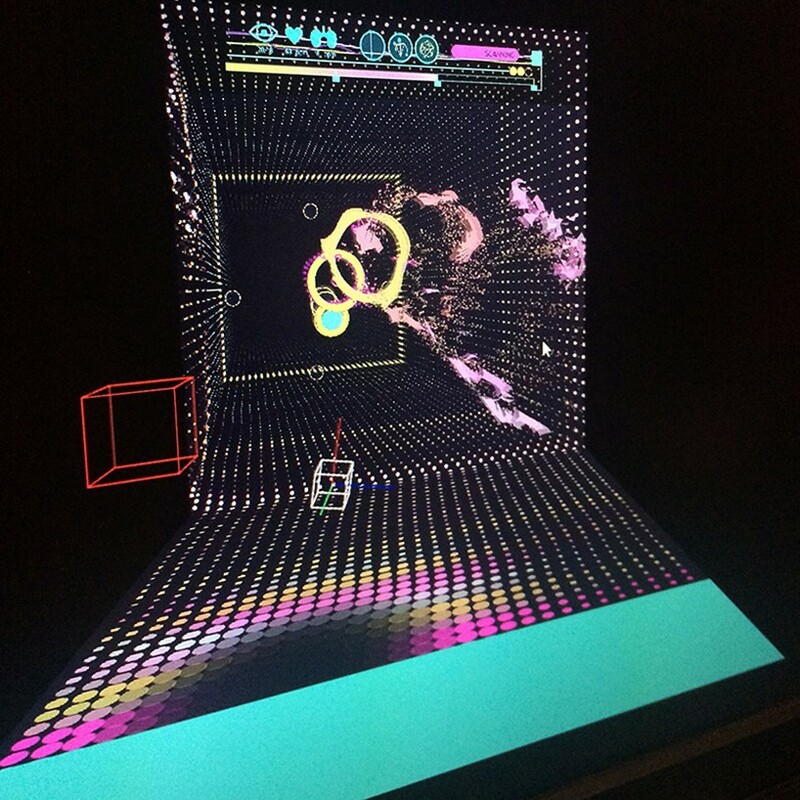 stepping into the game space, users complete a series of spatial alignments, increasing in speed and difficulty. 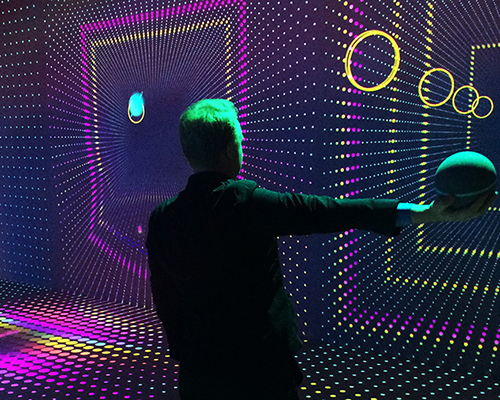 as the orb changes position in 3D space, ‘fitzania’s’ advanced sensors surveys the user/patients bio metric signals delivering an on the spot diagnosis as well as an updated personal fitness profile. 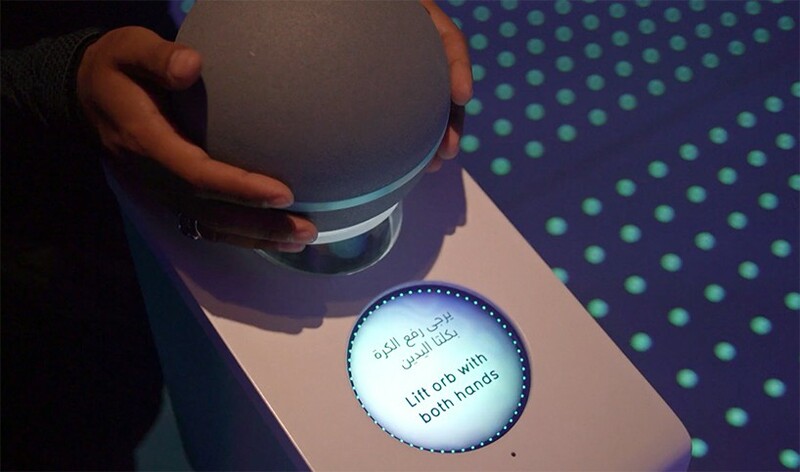 after all the tests are completed, the user returns the orb to receive a prescription tailored to their needs. specular collaborated with exhibition creative and production director tellart on research, technology, and design of ‘fitzania’. the goal was to determine a way for conducting regular fitness tests where citizens would be encouraged to return again and again. their solution took the form of a game surrounding the check up, where the analysis and diagnosis happens naturally during a fun and immersive game. the interactions are driven through a unique tracking system. each orb is treated with reflective coating to allow the sensors to determine their precise location in space. 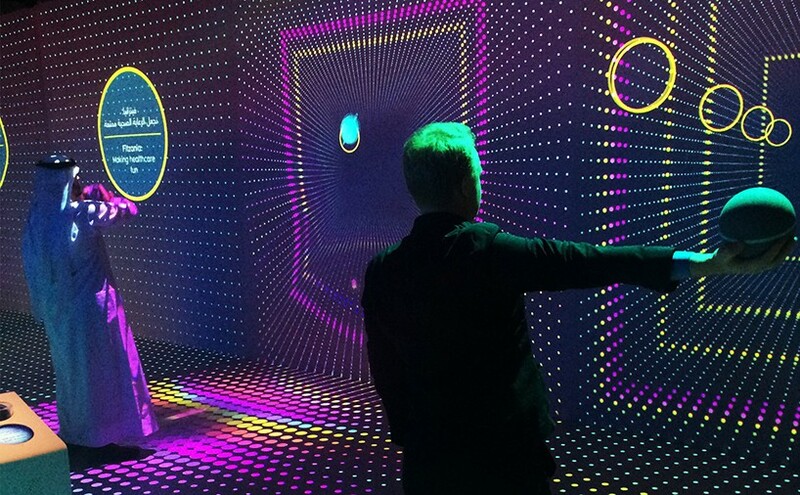 the data is mapped into a virtual space that extends beyond the physical walls, enabling the viewer to interact with the game world. 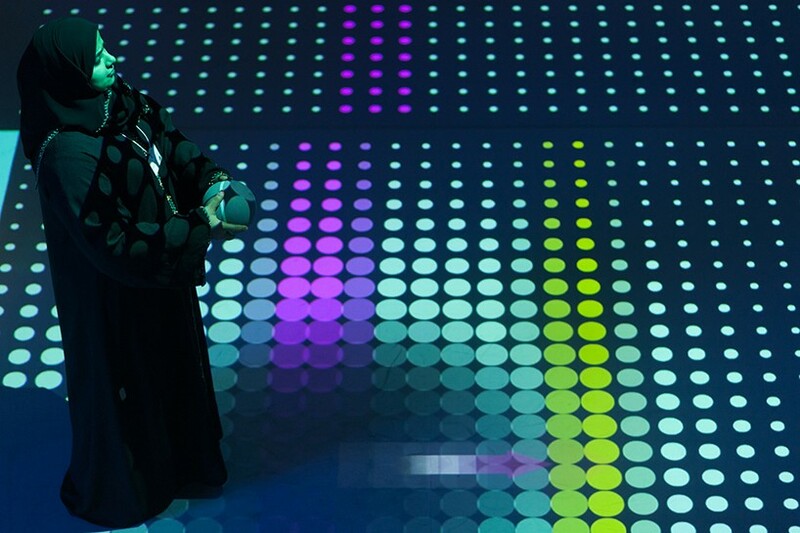 the ‘fitzania’ project by specular was commissioned by the prime minister’s office of the UAE.